Have you beaten Borderlands 2 and the first two DLC packs? Have you gotten all your achievements in the game? Are you hungry for more Borderlands 2? Well we got some good news for you. 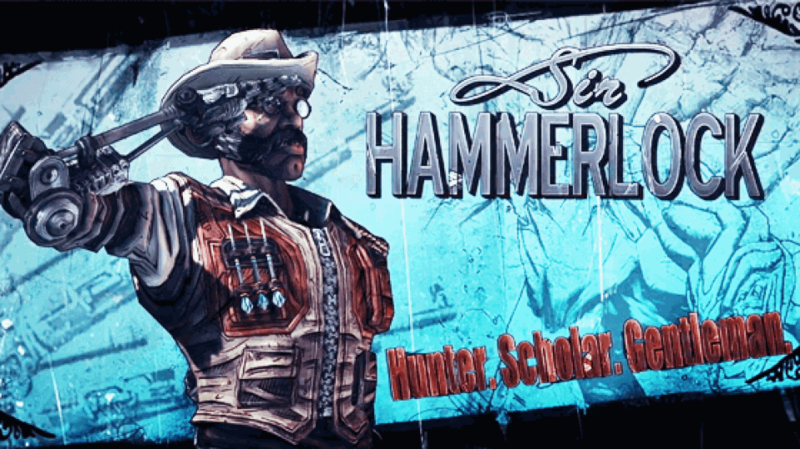 The next DLC pack will be called Sir Hammerlock’s Big Game Hunt. We can pretty much guess that the new DLC will have new monsters, more guns, and more loot along with three new achievements. The first one is for completing “The Fall of Nakayama” mission, one for completing all side missions and the last for discovering all named locations in the Hunt. If you bought the Season Pass, this will not cost you anything. We have no release date yet, but once we have the details, we will let you know. I just hope there is more Tiny Tina in the next DLC. Every time I see this picture of him. It makes me thing of hunting in Assassins Creed 3 for some reason.